Product #6179 | SKU GPP-419 | 0.0 (no ratings yet) Thanks for your rating! Hosa GPP419 1/4'' Adapter. This Audio Adapter female end accepts a mono signal and applies it to both Tip and Ring contacts at the male end. Use it to send a mono signal to both left and right contacts in a stereo 1/4" jack. 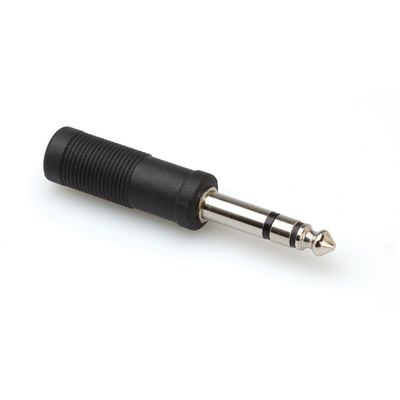 This adapter can also be used to "trick" an audio mixer's insert (send/return) jack into behaving like a direct output.